why an application needs separate XML parser? 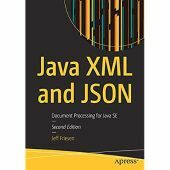 Is there java class to parse xml nodes? Is it possible to use XML DOM getNamedItem() Method to populate richfaces tree nodes? Editing dtd file to allow certain elements but not use them in a tree display. JAXB - simple type classes ?